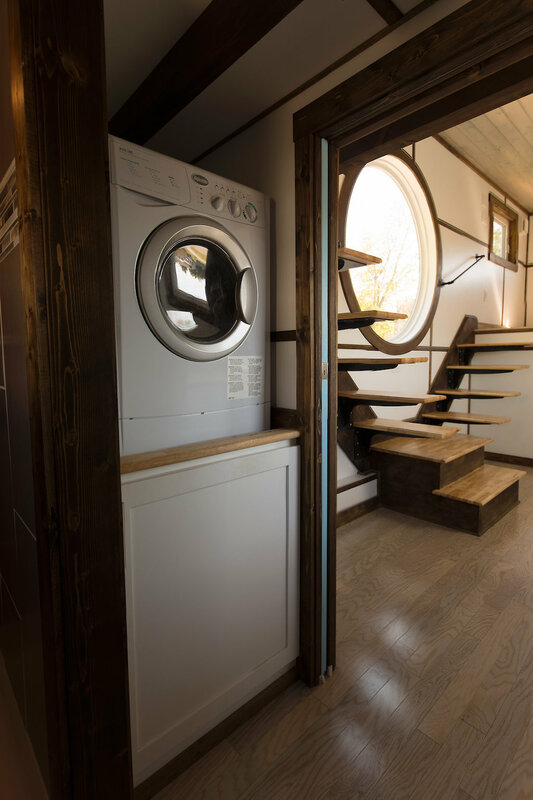 A 5th wheel tiny house with 5′ circular window and lightweight steel frame built by Tiny House Chattanooga. Love those steps. I like that mini wall that gives the loft a bedroom feel as well as the living area. Really great concept that I’ve seen from them twice now. The big portal window is awesome too. What is the end total price on this? 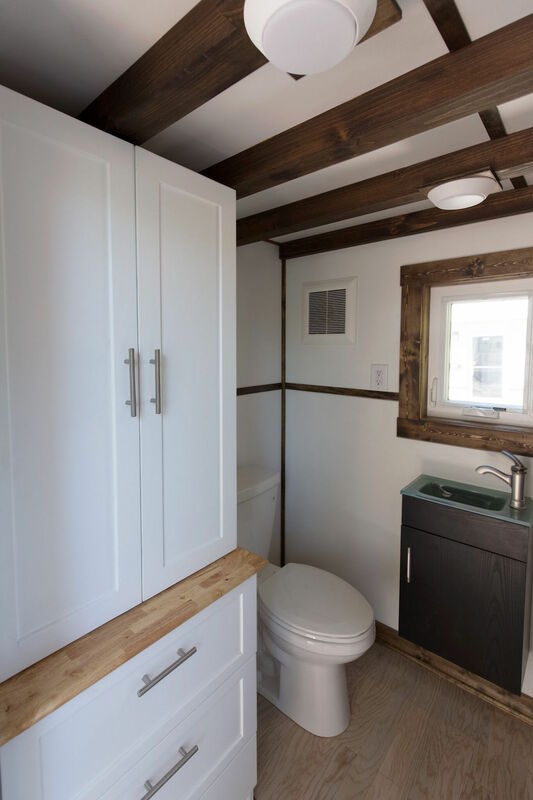 Tiny House Chatanooga? Oh, this means it’s terribly over-priced. 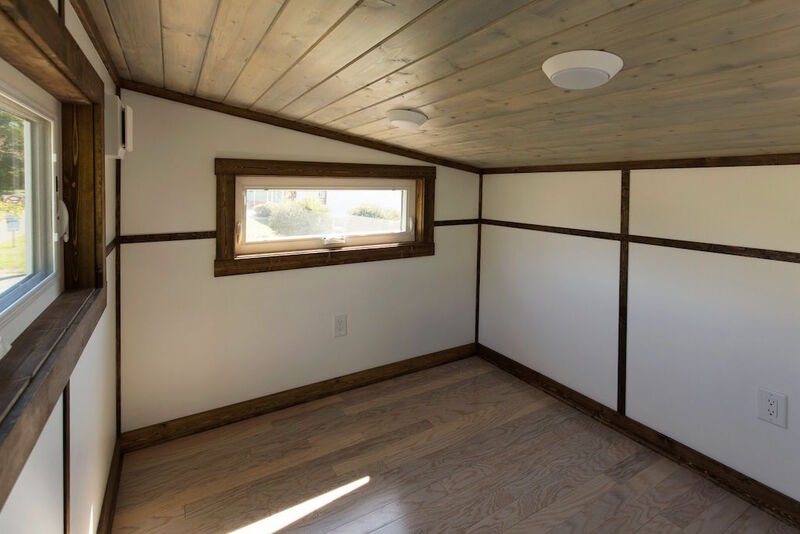 You can buy a house in Arizona for what they charge for their tiny homes. Yeah, but is it ocean-front property? Meh. The designer tried to showcase those steps in an effort to show how trendy designers can be. The fact is, these steps are fairly the WORST use of space management in an environnent in which space management is paramount. Those edges are such that you don’t dare try to put seating or storage under them. Is that lower floor space destined for ANY use beyond the surround of showcase stairs? Nope, this is about as trendy as those hipster eateries that put glitter on an artichoke heart and charge you $42, thus giving you the right to brag about how much of an edge you have. I agree with BB love the shower and several other elements. I have to also agree with BOB G though. Although the floating steps are nice to look at – do they have to be so large?? And what does one do in that awkward space around them?? This should be called the House of Stairs. I cried….beautiful..Is it for sale? This was built custom for a customer. Down to every last detail. We could build you another one if you would like. And why aren’t those steps spaced evenly, vertically? Can’t see why they couldn’t be. Very dangerous. I love the “Gypsy Soul” round window! I think the stairs are pretty but stairs with storage make more sense. Besides that where do you cook? No stove or microwave in sight. Personally I could get by without a traditional stove if I had a combined microwave and convection oven. Maybe have a portable counter top burner just in case. I could see putting detached shelving units or running a rod under for clothes to be hung up. 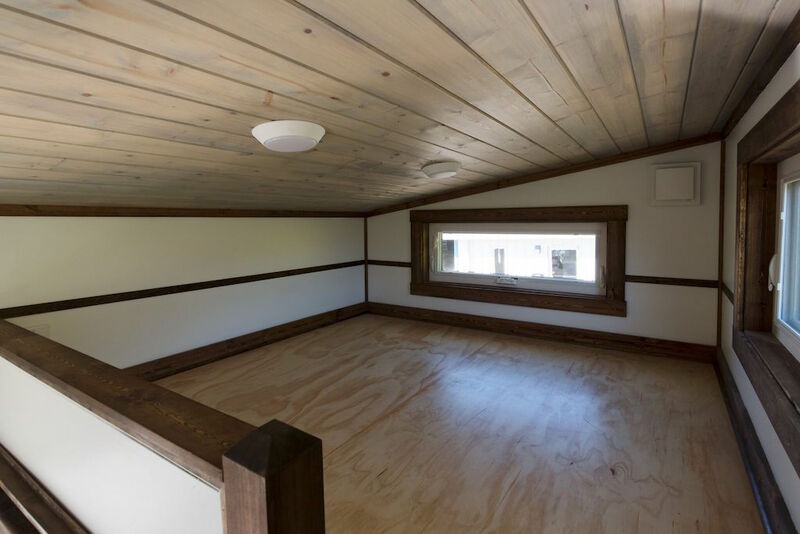 I think the space built over the tongue would make a cozy living area. There’s much more headroom there than you usually get in a loft! Too much wasted space….BUT>>>>>very sleek nether the less. This looks more like a concept house out of Architectural Digest or some other such magazine rather than an abode for an eco-conscious couple or a design conscious single. For the most part, it’s a showcase for the portal window and floating stairs. Love the concept, love the window, but I’d be more impressed if the stairs folded up whole as two individual racks/units/banks of stairs flat against the wall; up and out of the way until needed. This would have practical applications in terms of space management and keeping small kids off the stairs. 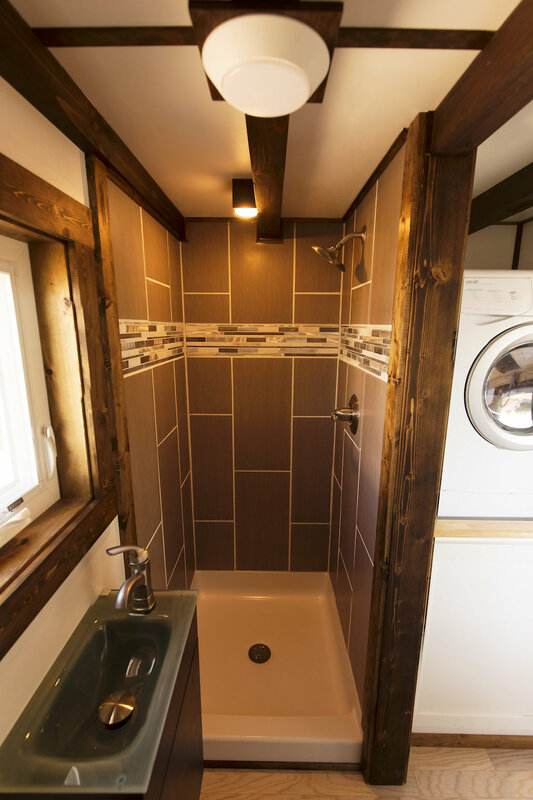 Love the bathroom; well done, especially the shower.